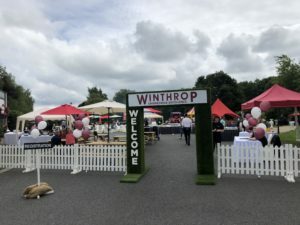 The Winthrop Family Fun Day 2018! The Winthrop Family Fun Day took place yesterday at the stunning Johnstown Estate in Enfield. The rain held off and we were blessed with a balmy dry day , welcoming over 400 Staff, Clients and Key Supply Partners to a fun filled Family Day. It was a great day for all the family from Kids of 2 to the Grandparents of 82!, young and old all had a great day. 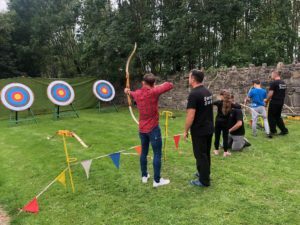 Bouncy Castles, Archery, Giant Games, Clay Pigeon Shooting, Story Telling and Palm Reading, were just some of the fun activities on the day, with everyone fed and watered via the tasty BBQ and Bar.. Thanks to everyone who attended and was involved in pulling it all together..